early on Monday morning a man thought to be from Lydney area in his early 50s on a Triumph motorbike was killed in an accident with a Peugeot just before the turning to Reece’s Storage on the left coming from Chepstow. A police officer guards the crash scene. POLICE have appealed for witnesses and dashcam footage of a horror smash that left a biker dead. The accident involving a Peugeot car and a Triumph motorcycle happened on the A48 near Stroat during Monday’s morning rush hour (November 5). The motorcyclist, who has not been named but who is believed to be from the Lydney area, was pronounced dead at the scene by paramedics. There were several hours of traffic delays following the 7.30am crash, after police closed the road between Chepstow and Lydney for crime scene investigators to examine the scene. 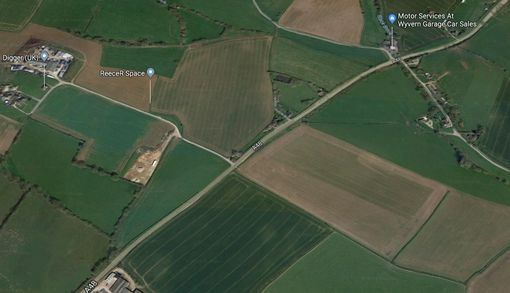 A Gloucestershire Police spokesman said they would like to hear from anyone who witnessed the collision, saw either of the vehicles beforehand or was in the area at the time and hasn’t yet spoken to them. Anyone with information or dashcam footage is asked to call 101 quoting incident number 56 of 5 November.